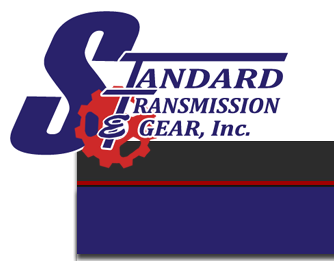 You can identify this Transmission by the cast "GETRAG" on the driver’s side of the transmission case and the Iron Case with Alum Top Cover! This Transmission usually comes in the 1988-93 Dodge Cummings Turbo Diesel Truck. We have listed below some of the more popular parts we keep stocked for the Getrag. Price and availability may change. Contact us for current price and availability. In 1988, Dodge introduced the 5 speed Getrag trans. 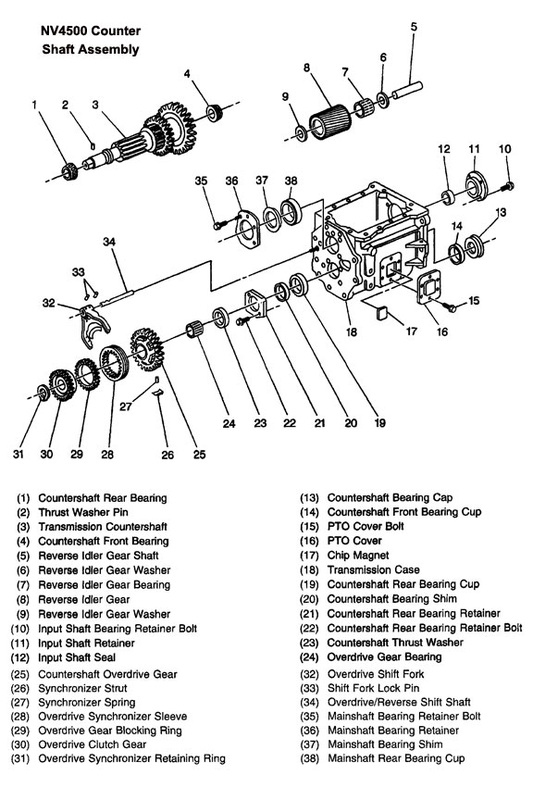 The powers that be determined at that time there would be no parts support for the Getrag whatsoever. As late as 1991, you still could not even buy a seal for the trans, but had to buy a "factory reman", or a new unit. Around that time, probably due to customer pressure, parts started to hit the dealer shelves. Unfortunately, they were extremely expensive. A maindrive gear, for example, could run as much as $600.00, while a rebuild kit was about $800.00. Rebuilding a Getrag trans was a risky affair. The box is physically smaller than one would expect, and problems like the weak 1-2 synchro assembly made for frustrating results. The aftermarket had not had time to manufacture parts for the Getrag, so the unit became somewhat of a liability. Our previous Dodge web page dealt with the problems encountered with these units, parts availability, & pricing at that time. The New Venture trans had come out in 1992, & Dodge replaced the Getrag with this trans in 1994. The folks at Getrag probably saw the writing on the wall, & prices for the parts & units really started soaring. We began selling the NV4500 conversions (SEE BELOW), with great success. About the only drawback with the NV4500 was that when hauling monster loads, the 5th gear had a tendency to press off the mainshaft. 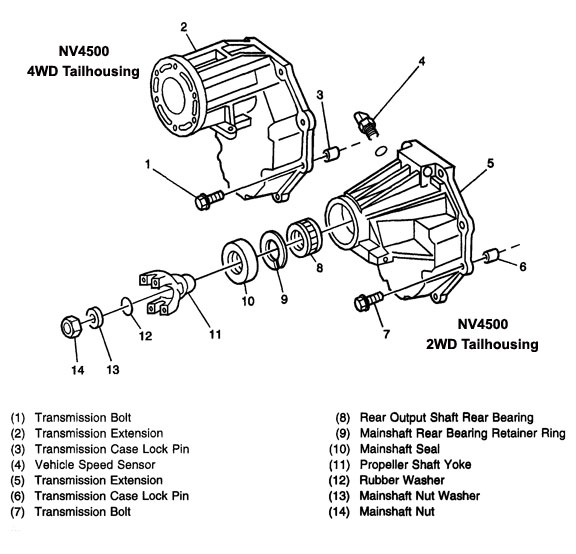 Things change, and so has the market for the Getrag & NV4500 transmissions. The aftermarket has come up with many of the parts needed to rebuild the Getrag, and at reasonable prices. We currently stock all of the available parts. And, although Dodge is still getting as much as $3500.00 for a reman unit, we can now sell our rebuilt units for $1650.00 exchange, plus S&H. The NV4500 has presented a new set of challenges. The 5th gear problem was due in large part to the half splines on the mainshaft under 5th instead of a full splined shaft. The (New Venture) NV4500 transmission is one of those special 5 speed manual transmissions that has it all. It is such a versatile 5 speed manual transmission that it has become a very popular replacement in hot rods, older cars and trucks. Originally it was designed as an aftermarket replacement transmission. We are now stocking the upgrade kit that has the full spline shaft & a new 5th gear. They are available for the 2 or 4 wheel drive unit & sell for around $290.00. On the downside, the production at New Venture apparently hasn't been able to keep up with the demand, so there are quite a few parts that are getting hard to come by. We try to keep all of the parts needed to rebuild the Dodge NV4500, but it's tough at times. The aftermarket boys are listening, though, and soon there will be enough parts to keep up. We have listed below some of the more popular parts we keep stocked for the New Venture 4500. Price and availability may change. Contact us for current price and availability. Our Latest Upgrade is HERE! 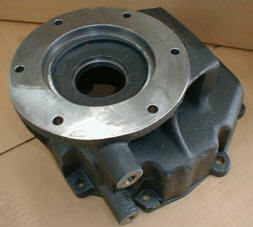 The all-new cast iron extension housing for the NV4500 4x4 transmission. Replaces the weaker cast aluminum housing that tends to break. This is a great upgrade that takes only a few hours to install. Kit includes housing, new bolts. and seal - all for just $146.50! All the parts you need to rebuild your Dodge transmission. 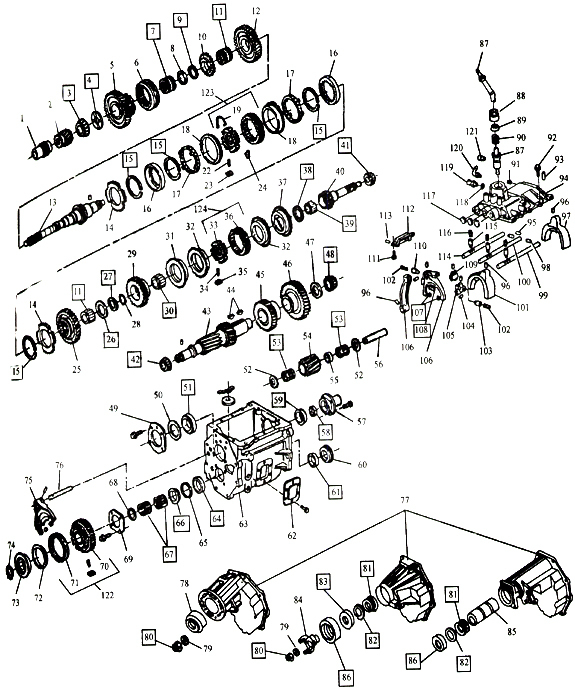 We have every part you'll need to rebuild your or your customer's Dodge transmission. From a simple "Burger and Fries", to the "Big Tex Big Meal Deal", we have it all. We also have the expertise to help you out of a tight spot. The NV4500 transmission has a case length of just 12.37”, making it the perfect transmission conversion for short wheelbase vehicles such as Jeeps, Broncos, Land Cruisers and is also a great replacement manual transmission in older trucks with 4 speeds. The NV4500 is also a popular replacement for 5 speed transmissions used in newer trucks. With stronger gears, better case and improved bearings, you can also keep your stock clutch setup. (If you need a replacement clutch see our large clutch line). The NV4500 is a top loader style transmission. 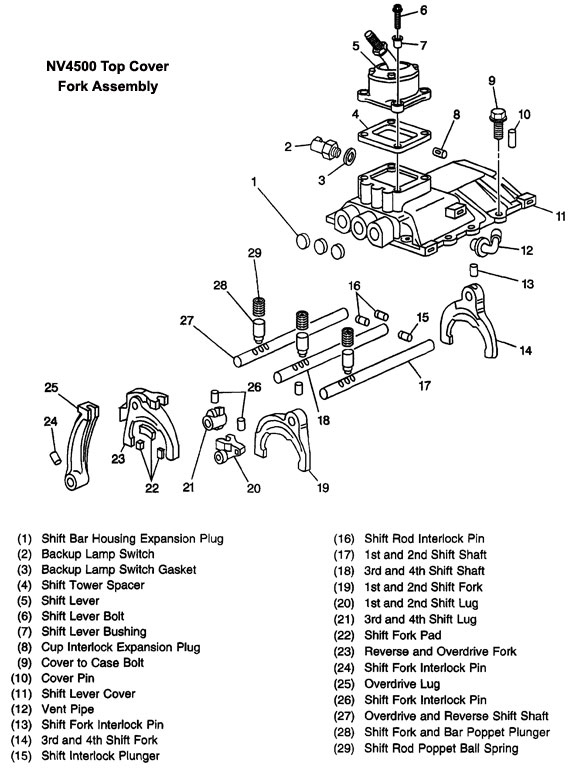 The lever located in the top shift cover operates the shift forks and rails directly. The shift forks and rails are located within the aluminum top cover which is bolted and dowel pinned to the top gear case. Tapered roller bearings support the input shaft, main shaft, and counter shaft in the gear case. 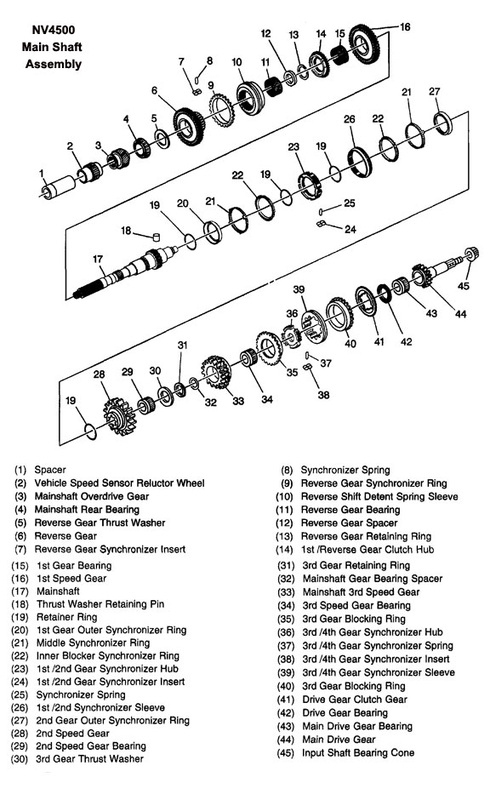 Drive gear thrust reaction is controlled by a needle type thrust bearing which is located between the input shaft and main shaft. The main shaft gears are all supported on cage-type roller bearings. Current production Dodge NV4500 and GM NV4500 share the same gear ratios. 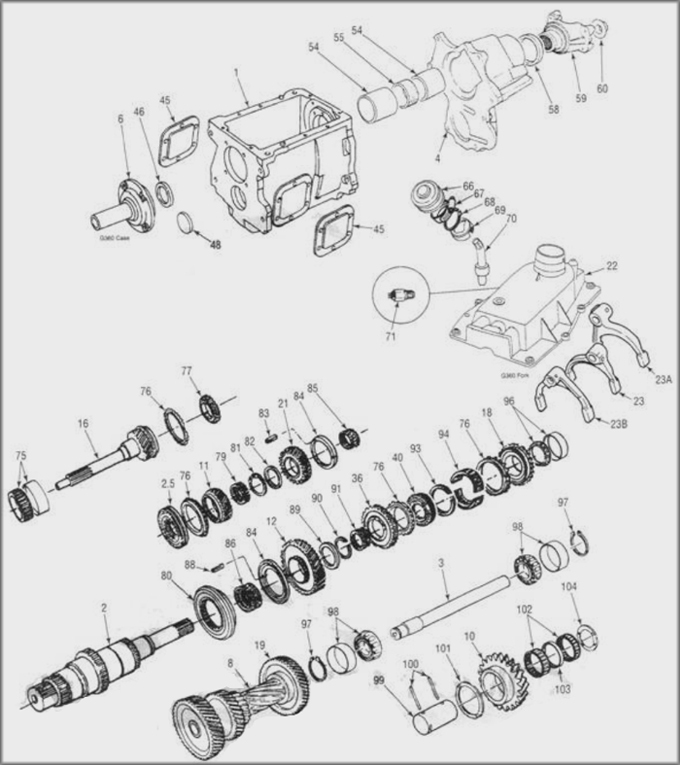 Early GM units (93-94) were built with a lower first gear ratio of 6.34 to 1.0. These low-geared GM boxes have since been discontinued and are generally much more difficult to obtain. We are able to provide new and remanufactured NV4500s with these early gearsets. Beginning in 95’, all GM units were built with the same gear ratios as the Dodge unit. Main case 12.375" 12.375" 12.375" 12.375"
Pilot Dia .590" .590" .750" .750"
GM NV4500 1993-95 5.125" 1.373"
Dodge NV4500 Standard Duty 5.60" 1.43"
GM 1993-1995 10.078" 10.394" 4.685"
GM 1996 + up 10.078" 9.738" 6.043"
Dodge (All) 10.078" 9.738" 6.043"
You MUST use the correct synthetic lubricant. We recommend Amsoil MTG. $15.00. AMSOIL MTG is the replacement fluid for GM part #12346190 and Chrysler part #4874459 (Chrysler specification #MS-9070). Use of ANY other oil in the NV4500 will lead to failure and voids any chance of a warranty claim. The New Venture 4500 is a great choice to replace the 5 speed Getrag transmission introduced in 1988 and used in the 1988 - 1993 Dodge Truck w/ a Cummins diesel. Rebuilding a Getrag trans was a risky affair in dealing with the problems encountered with these units, parts availability, & pricing at that time. The New Venture trans had come out in 1992 and Dodge replaced the Getrag with this trans in 1994. The Getrag is a smaller gearbox than the NV4500 and will always have the 1-2 synchronizer problems, among others. Although aftermarket parts are now available for the Getrag, the prices are still relatively high. About the only drawback with the NV4500 was that when hauling monster loads, the 5th gear had a tendency to press off the mainshaft. The 5th gear problem was due in large part to the half splines on the mainshaft under 5th instead of a full splined shaft. While the NV4500 has had 5th gear problems in the past, we began selling the NV4500 conversions, with great success because we build all of our units using the upgraded fully splined 5th gear & mainshaft. Here's the REALLY EXCITING NEWS! We now have new, lower pricing for our kits because of our volume buying power. When you figure this in as well as the mainshaft upgrade, you have a deal that can't be beat on the planet! We'll also be glad to give you any support needed to install our conversion kits. The 4x4 is the easier of the two conversions, as all that's required for the modification is that you cut a small piece of the floorboard back several inches. There's no driveline work involved at all & the mounting is a breeze. The price will keep you out of the poorhouse & you'll have a unit you can really rely on. The 2WD version is a little more complicated, but it's still easy compared to most swaps. You'll have to whittle a bit out of the crossmember with a torch, and the driveline has to be shortened some, but that's about the only difference compared to the 4x4. A new rear yoke & a mount are included in the package. The price reflects the cost of the added slip yoke for the 2wd set. Parts included for these kits are a rebuilt transmission with the fully splined mainshaft, a conversion bellhousing, pilot bushing, mount kit, and yoke (2wd models). When you call us, don't forget to ask about the great deals we have on the Amsoil oil & the clutch sets for your truck.